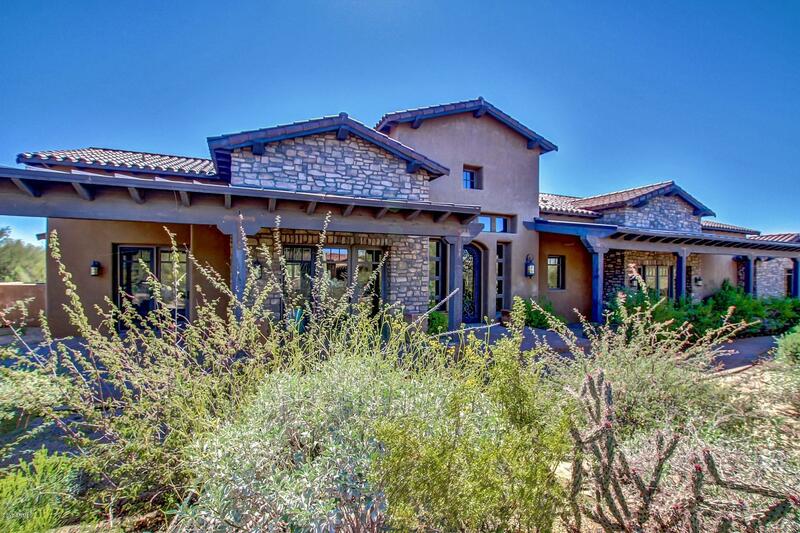 All Whisper Rock Estates homes currently listed for sale in Scottsdale as of 04/23/2019 are shown below. You can change the search criteria at any time by pressing the 'Change Search' button below. "Raintree Development, (builder) and Swaback Partners, (architect) collaborated to create this elegant retreat in WR Estates * The main house offers four full bedroom suites, large kitchen opening to the family room, formal living & dining rooms, upstairs game room and theater and over-sized office with separate entrance * Master suite is split and includes sitting area, his & hers bathrooms, exercise/bonus room and massive closet with washer/dryer * Venetian & clay plaster throughout, Crestron &"
"THE FINEST FINISHES AVAILABLE. SPECTACULAR HIGH CORNER LOT IN WHISPER ROCK ESTATES. LUXURY FEATURES INCLUDE A GOURMET CHEF'S KITCHEN FEATURING WOLF, SUB ZERO, ASKO AND DACOR, MASSIVE GRANITE ISLAND WITH REFRIGERATED DRAWERS, STONE BACKSPLASHES WITH DESIGNER GLASS TILE INLAYS. DISTRESSED WOOD AND TUMBLED STONE FLOORS, ALDER DOORS, MATCHING OVERSIZED BASE BOARDS, VENETIAN PLASTER AND WARM FAUX FINISH WALLS. 16' POCKET DOORS CONNECT INDOOR LIVING AREAS WITH EXPOSED WOOD BEAMS TO RUSTIC WOOD COVERED"